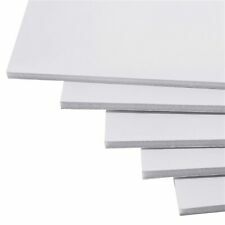 The polystyrene core is bonded between high quality papers to create a lightweight, reliably rigid, ultra-smooth board. The foam board simpifies production, resists warping, and cuts cleanly. This line features a wide range of types, sizes and thicknesses. Can be used for exhibits, POP displays, signage, photo mounting, screenprinting and framing. Cathedral Products Foamboard has a rigid, lightweight foam core with smooth, coated paper laminated on both sides.It is ideal for point-of-sale, presentations, model-making, photo and picture mounting, crafting and much more. 2 Sheets of 4 Colours. A mixture of Bright Colours. Creative A4 Foam. 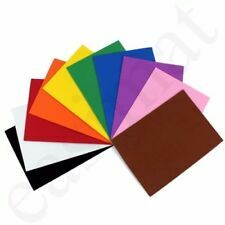 Acrylic Felt 230x300mm Rectangles 8 Sheets- Choose your Colour (White). 50 x Multi Coloured Tissue Paper / Gift Wrap / Wrapping Paper Sheets (20" x 30"). Gatorfoam Board is a lightweight and waterproof board made from an extruded polystyrene core bonded between two layers of resin-impregnated wood-fibre veneer. 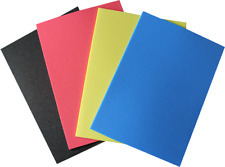 Many watercolourists also use Gatorfoam Boards to stretch watercolour paper. Gatorfoam Heavy Duty foam board is an extruded polystyrene foam board bonded between two layers of Luxcell wood-fiber veneer. 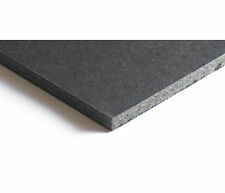 The foam board is heavy duty yet versatile foam board and is great for everything. A4 foam with 3 sheets of 8 bright colours. A mixture of Bright colours. 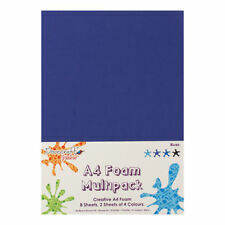 Suitable for Kids Crafts, Card Making, Scrapbooking and many other uses. Great for little hands with big imaginations, a great selection of crafty product to keep kids active. Creative A4 Foam. 2 Sheets of 4 Colours. HEN PARTY CATEGORY. SEE ALL CATEGORIES. Creative A4 Foam. A mixture of Greens. 2 Sheets of 4 Colours. Acrylic Red Felt- 10 Sheets. MADE IN GERMANY. Related Products. SEE ALL CATEGORIES. This product contains 10 sheets of shiny glitter foam. They have shiny glitter coated on one side. They are easy to cut and paste as compared to cardboard. The quilling coils stick easily on them as well. 1"x24"x79" High Density Firm Rubber Foam Sheet Premium Seats Cushion Upholstery. High use applications: can be used for sofa or boat seats, mattresses padding, furniture and bedding support, art & craft projects. Size of sheets: 20cm x 30cm. 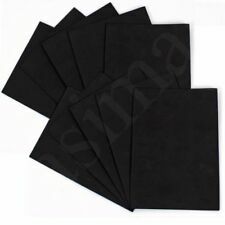 High quality EVA foam sheets.